Courchevel has the reputation as the world's best ski resort. 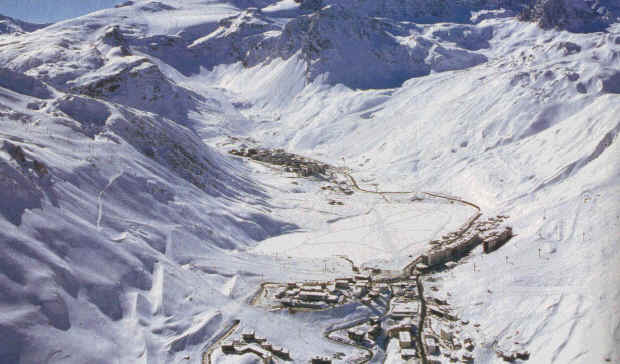 This renowned resort in the French Alps takes full advantage of its exceptional natural environment, providing intense satisfaction to winter-sport enthusiasts with downhill skiing, snowboarding, back-country ski touring, climbing, cross-country skiing, snowshoeing, hiking, and more... Courchevel's ski area, as an integral part of the greater 3 Valleys ski domain, is a wonderfully unique playground. The breadth of the ski area and the diversity of its natural landscapes supply skiers with endless discoveries and continuous delight. Without a doubt, Courchevel is blessed by its exceptional natural setting.